We, Of course, are Golden Lovers! 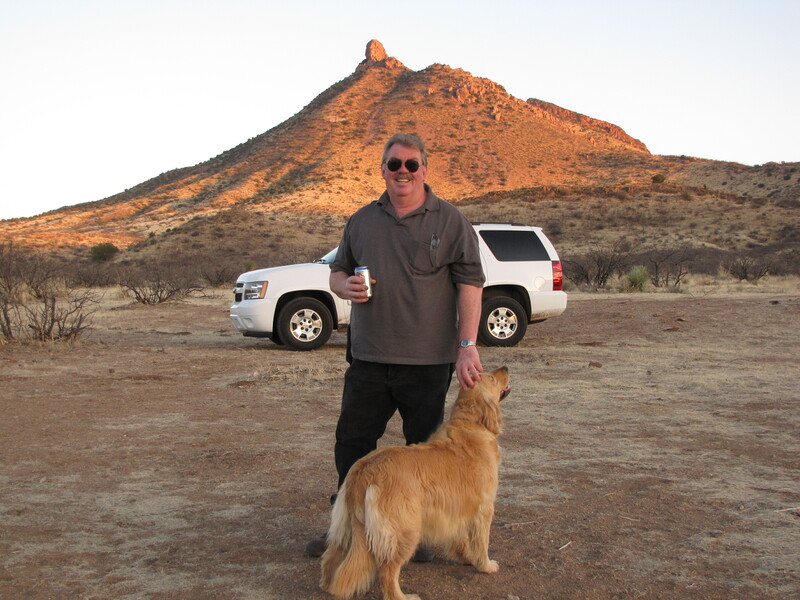 We have owned Golden Retrievers since 1996 and have been successfully breeding Goldens since 2003. 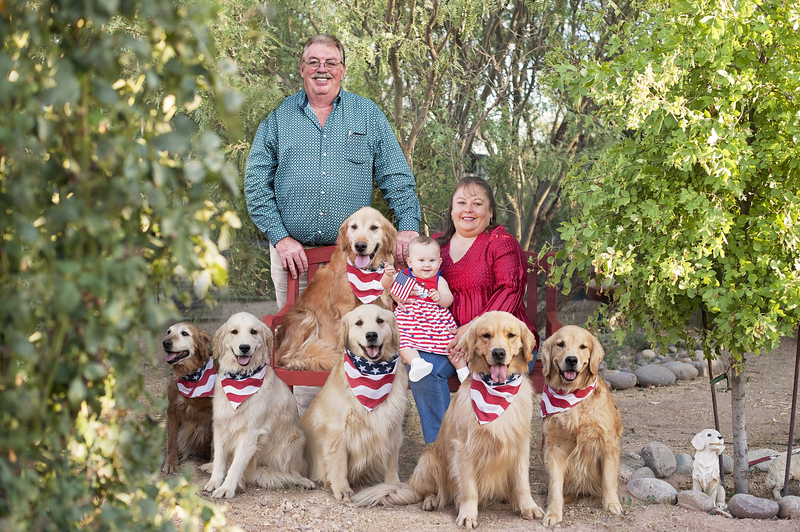 We have raised Goldens of all colors, sizes, and of various lineage and have found a wonderful uniqueness to each and every one of them. 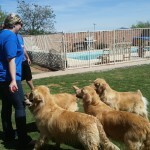 Golden Angels Kennels is a small kennel dedicated to improving the Golden breed. We breed only Golden Retrievers. Our dogs are well socialized and share time in the house as part of our family. 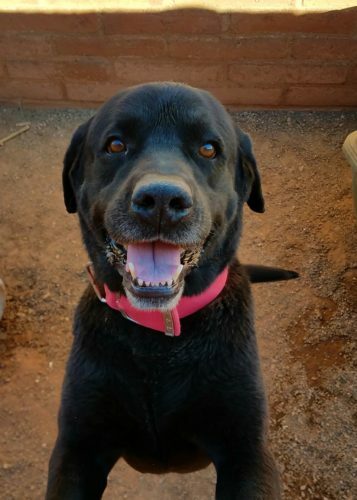 We are sure you will be pleased with the quality, integrity, superb trainability and intense desire with each puppy produced here at Golden Angels Kennels. Our sires and dams are AKC registered and OFA (hip, elbows, heart & eyes) certified. Golden Angels Kennels’ well-socialized puppies come with AKC registration papers, a written 24-month health guarantee, worming at 3, 5, & 7 weeks, current vaccination shots, micro-chip identification, pictures, certifications and pedigrees of parents, Purina Pro Plan Puppy Kit, and lots of useful information . They are introduced to sounds, water, textures and toys (as well as our cats). 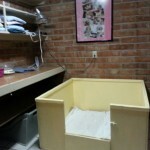 The puppies are kept inside in air-conditioned and heated comfort. 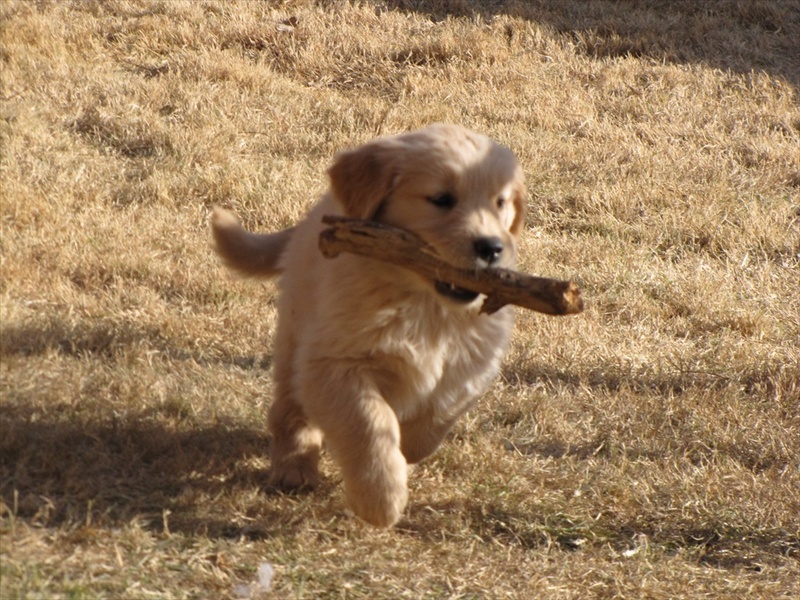 At six weeks they are allowed to foray outdoors for fun and development. They are eligible to go home at eight weeks of age. 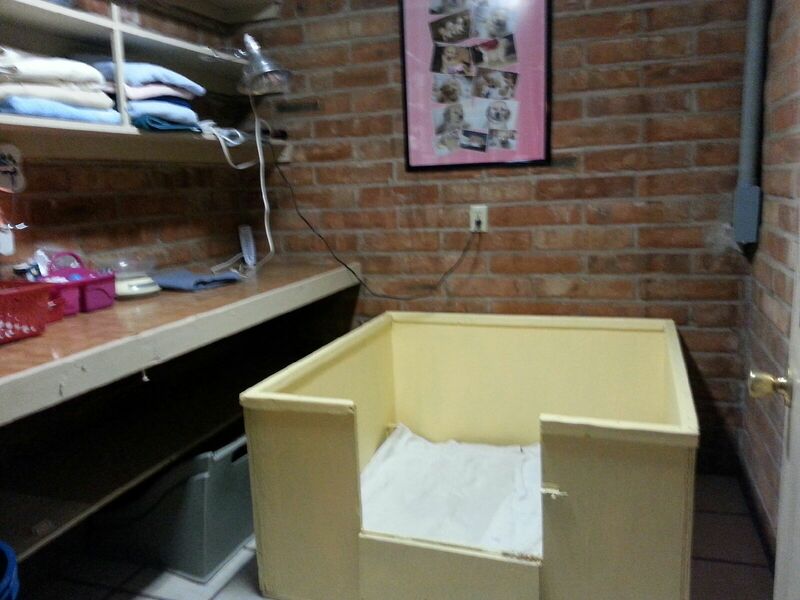 While our specially designed, individually climate controlled whelping rooms are in our house, our kennels are just outside. Our Golden Angels are always in a clean environment. All of our Goldens spend a lot of time indoors around our family including our beautiful 2-year-old daughter, friends, and our two cats, Stache and Twinkle, on a day-to-day basis. They also spend time in our spacious and securely walled back yard, going on exercise walks, and playing with us in a nearby park. 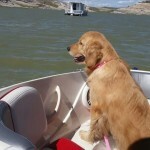 They especially love going to the lake on boating trips as well as roaming around our 63 acre ranch. They also like to play around (and in) our swimming pool. We feel that all these things work together to produce properly well-socialized Goldens. 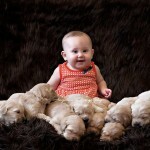 We are accepting deposits to secure the possession of puppies when they reach eight weeks of age. All puppies are sold with AKC limited (non-breeding) registrations. 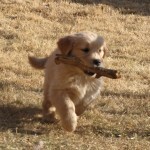 Is the Golden Retriever right for you and your family? Please Click here to read more about the Golden Retriever. 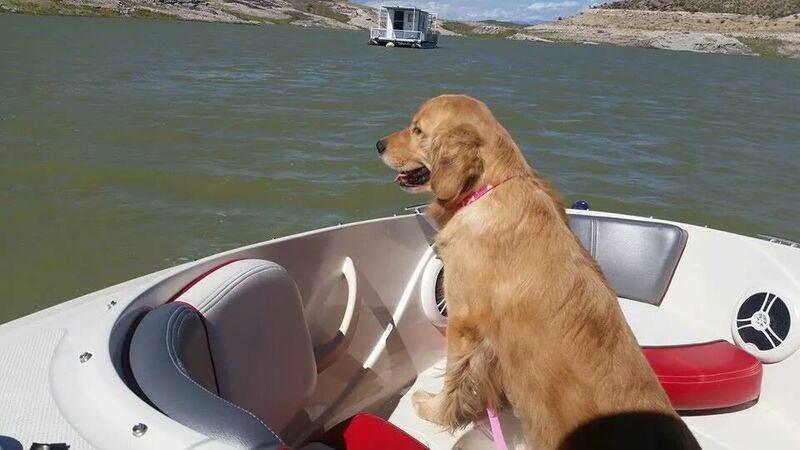 We also assist in t he rescue of Goldens and other mixed breeds that have the unfortunate experience of landing in one of our area animal shelters or can no longer be kept by their owners. 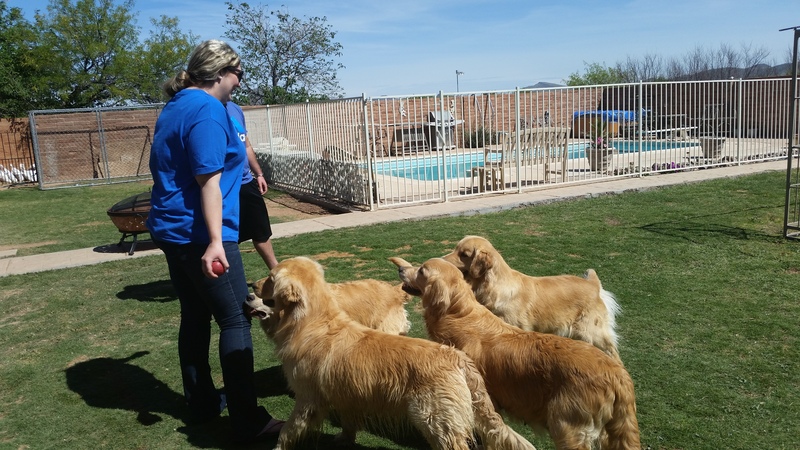 We would like to thank Laurel Manning and Southern Arizona Golden Retriever Rescue for their help in placing many Goldens. For more information visit; www.sagrr.org or contact me at donnavsierra.com. 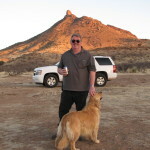 We also offer quality dog boarding services at our home.